Service you need. Prices you demand. Support you can always rely on. Placing a huge emphasis on service and building relationships that last, everything we do is guaranteed – we aim to resolve any issues swiftly. We firmly understand you need competitive prices with no compromise on top quality materials and the best print methods. So overall, we want you to be 100% satisfied, both with your purchases and with our service. To provide the best service, it’s important to understand your needs – we always seek face to face appointments. We always deliver our promises and seek to exceed your expectations. We always recommend the best materials and print methods for the job, and always offer you 100% guarantee of satisfaction. We are passionate about delivering the best products through innovation and creativity. We stay true to our beliefs and high standards, and always discuss and agree on pricing with you. Our in-house designers are experts in ticket and print design, with intricate artwork knowledge for all specifications. 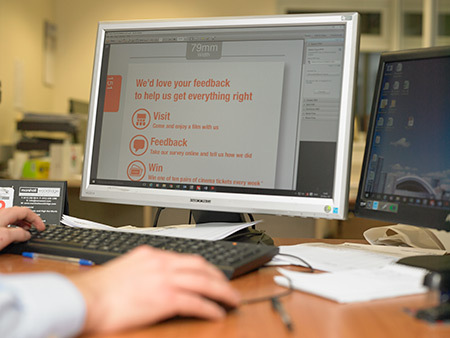 Of course you can provide your own artwork, but if you do need help in creating the right impression with impressive design, then our team are on hand and ready to make your brand shine. We can also design compelling advertising to promote your offers, giving you maximum exposure to your potential customers. Being part of the Premier Vanguard Group has many benefits. The biggest being our in-house print and manufacturing facilities. 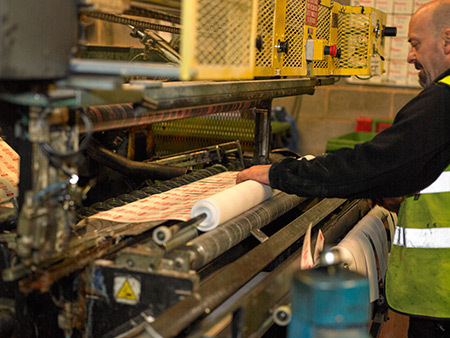 Much that we produce is made and printed here, meaning we have utmost control over quality standards and we can pass on our cost savings to you. Our factory team are highly trained and skilled to ensure you only ever received the best quality – guaranteed. 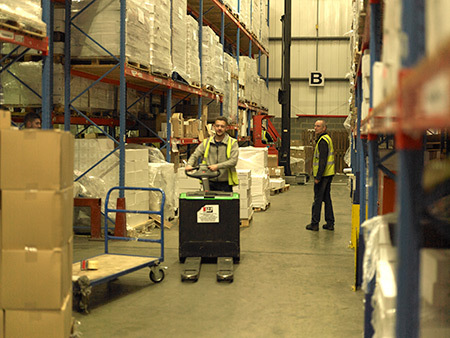 We know you can’t get excited about our vast warehouse, but what you can be over the moon with is our incredibly fast turnaround speeds. This is all down to having everything here & ready waiting for you. From credit card paper rolls to printer cartridges, from stationery to ready to print tickets, all you have to do is order, and we’ll have it with you in a jiffy.